Broward County, Florida Farmer's Markets: Find a local farmer's market near you in Broward County, Florida for fruit, vegetables, pumpkins, organic foods,local produce and more! 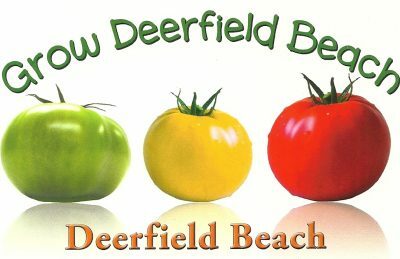 Looking for a local, true farmer's market in Broward County, Florida? 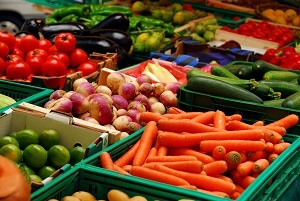 Scroll down this page and you will see the farm markets, farm stands, roadside stands, produce markets, even garden fruit and vegetable stands and seasonal community farmer's markets in Broward County, Florida, sorted by county. Markets offering organic or sustainably grown produce are identified by the words "organic" and/or "sustainable" in Green, next to their name. If they have a website, the name will be in blue and underlined; click on it and it will open their website. Pioneer Park, 217 NE Fifth Ave. Deerfield Beach, FL 33441. Phone: (954) 429-0378. Email: elilly707@aol.com. Email: elilly707@aol.com. Open: Sundays from 9 am to 2 pm. There will be tons of wonderful handmade arts and crafts for sale. There will also be a farmer’s market with fresh food from local vendors and free tours of the Butler House. Comments from a visitor on December 05, 2010: "I am a native to Broward county, have lived downtown for 5 years and just learned of this hidden gem. We haven't missed a Saturday since. Food is delicious, great selection & run by nice people. Best time to go is a Saturday morning so you get can your pick of veggies & fruits"